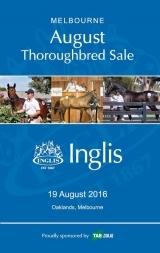 185 lots have been received into the main catalogue for the August Thoroughbred Sale. Supplementary entries will be accepted until Friday 12 August. Goldophin have 15 racehorses entered for sale alongside drafts from Woodside Park Stud (13 lots) Contract Racing (12), Stoneridge Park (7), Bell View Park Stud (6), Blue Gum Farm (5), Larneuk Stud (5), Phoenix Broodmare Farm (5), Supreme Thoroughbreds (5) and many others. The sale is composed of 100 broodmares, two stallion shares in Stratum, five yearlings, two unbroken stock, 49 race fillies and mares, plus 26 race colts and geldings. Broodmares French Resistance and Leisure Pass are both being offered in foal to leading two-year-old sire Written Tycoon, while other mares are being offered in foal to Brazen Beau, Cluster, Crackerjack King, Dawn Approach, Delightful Choice, Domesday, Epaulette, Fighting Sun, God’s Own, Ilovethiscity, Moshe, Reward For Effort, Stryker, Testa Rossa, Uncle Mo, War, Zebedee and Zoffany. The racehorse section includes Group 2 winner Guest Of Honour, Group 3 winner Java, and the stakes place getters First Bloom, Orujo and Cloudscape along with a huge array of city performers and lightly raced prospects. Supplementary entries can be made online or by completing and submitting the hard-copy entry form. 37 Withdrawn Lots - last withdrawal at 9:32 am, 14th Sep 2016. To be Honest (2008.f. by Bel Esprit-Miss Lardydar, by Cossack Warrior-Bitter Spring). 2016-08-15 3rd Wangaratta TC Crownbet H.
2016-08-17 3rd Geelong RC Emsley Lodge H.
ONE FINE DREAM (2013.g. by Woke Up Dreamin-One Fine Shweetie, by Shuailaan-One Fine Lady). Conquest Dynasty (2013.f. by Court Vision-Chick, by Sky Classic-Checkerspot). Calare (2014.f. by Dubawi-Calando, by Storm Cat-Diminuendo). Glenbawn Dame (2010.f. by Shamardal-Starfish, by Redoute's Choice-Stella Cadente). 2016-07-23 2nd ATC (Canterbury) Myboycharlie at Vinery H.
2016-08-13 3rd MRC (Caulfield) Foundation H.
Pluck That (2013.g. by Pluck-Spirit of Karlu, by Dubawi-Devils Marble). 2016-07-16 1st Waikato RC NZ Bloodstock Insurance Pearl Series 2YO H.
Storm System (2012.g. by Snitzel-Venus, by Atticus-Stormette). 2016-07-27 3rd ATC (Canterbury) McGrath H.
2016-08-06 3rd ATC (Randwick) POWHF Roy Billing OAM H.
You'll be Mine (2010.f. by Smart Boy-Akogare, by Gulch-Stormette). Zouzou (2012.f. by Perfect Soul-Armourette, by Rahy-Stormette). Soul Sister Diva (2013.f. by Perfect Soul-Armourette, by Rahy-Stormette). Arrive (2011.f. by Medicean-Tetisheri, by Selkirk-Khamsin). Show of Faith (2009.f. by Acclamation-Khalkissa, by Diesis-Khamsin). Ballada Sky (2012.f. by Sky Mesa-Lindsay Jean, by Saint Ballado-Colony Bay). DIPLOMA (2013.f. by Dubawi-Enticement, by Montjeu-Ecoutila). Morendi (2012.g. by Onemorenomore-Haughty, by Viscount-Mabe). 2016-07-23 1st GCTC (GCTC) Tangalooma Whale Watching H.
Politics (2011.g. by Citidancer-Partisan, by Canny Lad-Royal Progeny). 2016-08-11 1st Northam RC Jinx King H.
Jungle Edge (2010.g. by Dubawi-Jungle Girl, by Carnegie-Out of Africa). 2016-07-27 1st MRC (Sandown) Le Pine Funerals H.
Wine and Chocolate (2010.f. by Quest for Fame-Combermere, by Commands-Cyphell). 2016-08-11 2nd Coff's Harbour RC Chiko H.
Zunbaqa (2013.f. by More Than Ready-Boogaloo, by Encosta de Lago-Tyrises). 2016-07-23 1st SAJC (Morphettville) Holdfast Insurance 2YO H.
2016-08-06 1st VRC (Flemington) John Gubbins H.
Palmera Lad (2010.g. by Tale of the Cat-Allfores, by Zeditave-Paris Miss). 2016-08-02 1st Warracknabeal TC Pony Xpress H.
Carluca (2011.g. by Volitant-Winning Odds, by Danewin-Stylish Odds). 2016-08-03 3rd ATC (Warwick Farm) Pro-Ride H.
Impending (2013.c. by Lonhro-Mnemosyne, by Encosta de Lago-My Juliet). Hong Kong Empire (2011.g. by Manhattan Rain-Light Sweeper, by End Sweep-Light Me Up). 2016-08-06 1st Katherine TC Rydges Palmerston H.
Cushion Pink (2013.f. by Mossman-Pink Princess, by Danehill-Western Hour). 2016-08-03 1st BRC (Doomben) Social Member Maiden H.
Buck Rogers (2011.g. 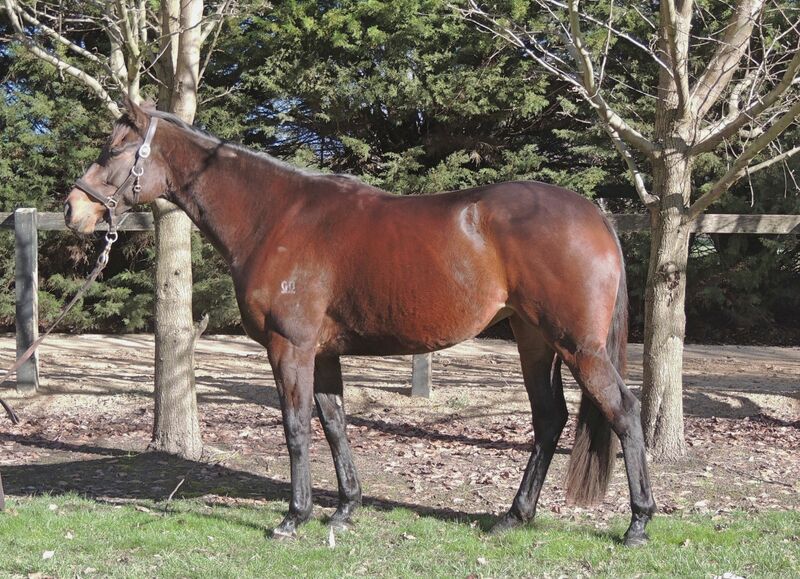 by Northern Meteor-Danehill Lass, by Danehill-Western Hour). 2016-07-21 1st Moree RC Whites Rural H.
2016-08-12 1st Tamworth JC Noelene Martin Memorial H.
Pioneering (2012.f. by Sebring-Soothe, by Coronado's Quest-Slew and Easy). 2016-07-30 1st ATC (Rosehill) McGrath Estate Agents P.
2016-07-23 1st ATC (Canterbury) Schweppes H.
Sunny Victory (2012.g. by Hinchinbrook-Mis Excitabull, by Holy Bull-Exigent). 2016-07-22 1st Ipswich TC (Ipswich) Sirromet 5 Star Winery H.
Yubris (2013.f. by Frozen Power-Nippy, by Anabaa-Neeran). I AM A STAR (2013.f. by I Am Invincible-Star Band, by Dixieland Band-Spenderella). NUHDIS (2012.f. by Distorted Economy-Nuh, by Jeune Homme-Nuhr). Hispanidad (2013.f. by Pure Prize-Historia, by French Deputy-Honoris Causa). Misty Birnam (2013.c. by Toreador-In the Mist, by Verglas-Urban Sky). Intern (2014.c. by Rip Van Winkle-Uliana, by Darshaan-Sombreffe). BENWILL (2009.c. by Leestown-Dynaspice, by Dynaformer-Valid Fixation). Six Beat (2008.g. by Lonhro-Boogie, by Procol Harum-Play My Tune). 2016-08-02 1st Mackay TC Fiesta Rentals H.
2016-08-09 1st Townsville TC Amateurs Raceday H.
2016-08-13 1st Cairns JC Alsco H.
2016-07-30 2nd Townsville TC Mater Sullivan Nicolaides H.
2016-07-23 3rd Townsville TC Cup Next Saturday H.
Art Nouveau (2012.g. by Medaglia d'Oro-Dorky, by Grand Lodge-Boogie). 2016-07-30 3rd ATC (Rosehill) McGrath Estate Agents P.
2016-07-23 3rd ATC (Canterbury) Schweppes H.
Bergio (2012.g. by Demerit-Bellydance, by Desert Prince-Boogie). 2016-08-03 1st WATC (Belmont) Jockey Celebration Raceday H.
Tumbleweed Tango (2011.f. by Balmont-Bellydance, by Desert Prince-Boogie). 2016-08-14 1st Kalgoorlie Boulder RC First National Sprint H.
Fragonard (2013.f. by New Approach-Segolene, by Lonhro-Dorky). 2016-08-02 1st Goulburn DRC Goulburn Market Place Maiden P.
Rocknrolla (2010.f. by Towkay-Danness, by Danske-Agreeableness). 2016-08-06 1st Whangarei RC Bear Morgan at Harcourts H.
Dynamic Tank (2012.g. by Big Brown-Zefta, by Zeditave-Sally Lou). Zafina (2013.f. by Stratum-Zefta, by Zeditave-Sally Lou). 2016-08-10 3rd ATC (Canterbury) Tab.com.au H.
2016-07-30 3rd Illawarra TC Rose Todner Maiden 2YO P.
Awasita (2010.f. by Commands-Aemilee, by Grand Lodge-Sally Lou). 2016-07-23 1st ATC (Canterbury) Myboycharlie at Vinery H.
Roman Odyssey (2011.g. by Holy Roman Emperor-Rule the Waves, by King's Best-Regal Sea). 2016-07-28 1st Gosford RC National Jockeys Trust H.
Carillo (2010.g. by Teofilo-Riona, by Strategic-Tromper). 2016-07-30 1st Broome TC Toxfree Sprint H.
2016-08-13 2nd Broome TC Roebuck Bay Sprint H.
BEIRUT (2010.f. by Lonhro-Leica Light, by Hennessy-We Leica). Not a Happy Camper (2011.f. by Not a Single Doubt-Happy Camper, by Grand Lodge-Highway Bliss). 2016-08-06 3rd VRC (Flemington) Keli Sponner H.
Danon Perth (2005.g. by Lonhro-Lady Marion, by Danehill-Marionique). Princess Arrow (2012.f. by Red Arrow-Tuckshop Princess, by Dehere-Be My Princess). 2016-08-16 1st Pakenham RC Hygain H.
Realms - Messi (Mal.) (2009.g. by Commands-Dominions, by Canny Lad-Olympic Flame). 2016-08-07 1st Perak TC BMX Racing H.
2016-08-13 1st Perak TC Antwerp Belgium H.
Enchantrix (2012.f. by Magic Albert-Chicago Seven, by Canny Lad-Trials). 2016-08-09 1st Townsvilleturfclub.com.au Maiden H.
Beckham (2010.c. by Pins-Glamour Puss, by Tale of the Cat-Escada). 2016-08-13 1st BRC (Eagle Farm) Moet and Chandon Chairman's Club H.
Deday (2011.g. by Domesday-De Lovely Lady, by Mossman-Pieta). 2016-08-13 2nd Broome TC Weatern Meat Packers H.
2016-07-30 3rd Broome TC Progressive Supplies H.
2016-08-09 3rd Broome TC Willie Creek Pearl Farm H.
Teriki (2012.f. by Written Tycoon-Belong to Peri, by Belong to Me-Tickle My). 2016-07-30 1st Devonport RC Luxbet Club Xtra H.
Gower (2009.g. by Danbird-Cult Figure, by Ahonoora-Idol Worship). 2016-08-04 3rd Rockhampton JC IPG Print H.
Bancroft (2011.g. by Annenkov-Cult Figure, by Ahonoora-Idol Worship). 2016-07-29 1st Ipswich TC (Ipswich) Pennywise H.
2016-08-12 2nd Ipswich Legacy H.
GEEGEES CLASSICBOY (2011.g. by Wordsmith-Evangelical, by Danzatore-Idol Worship). 2016-08-14 1st Devonport RC Simons Design Centre H.
OVIDIO (2010.g. by Danehill Dancer-Pre Nup, by Red Ransom-De Beauvoir). THE GURKHA (2013.c. by Galileo-Chintz, by Danehill Dancer-Gold Dodger). Outraged (2011.g. by Choisir-Saigon Moonlight, by Stravinsky-Ana Zeel). Monsieur Gustave (2012.g. by Al Maher-Saigon Moonlight, by Stravinsky-Ana Zeel). 2016-08-14 1st SCTC (Sunshine Coast) Nestle H.
MANHATTAN STREET (2013.c. by Manhattan Rain-Charming Estelle, by Redoute's Choice-Estelle Collection). Just Call Me Bruce (2007.g. by Springsteen-Geiger Queen, by Geiger Counter-Carlotta). 2016-07-10 1st Warrnambool RC Snaauws Kitchens H.
Testashadow (2011.g. by Testa Rossa-Moonlight Shadow, by Flying Spur-Crestfallen). 2016-08-13 1st ATC (Rosehill) Spring Preview H.
Monte Lago - Burlington Gardens (2009.g. by Encosta de Lago-Pretty Buttons, by Danehill-Ease on Down). 2016-08-06 1st Toowoomba TC DC Accounting H.
Lucky Dapper (2009.c. by Testa Rossa-Buttonhook, by Encosta de Lago-Pretty Buttons). Trinity River (2012.f. by Lonhro-Willow Creek, by Tale of the Cat-River Tribe). 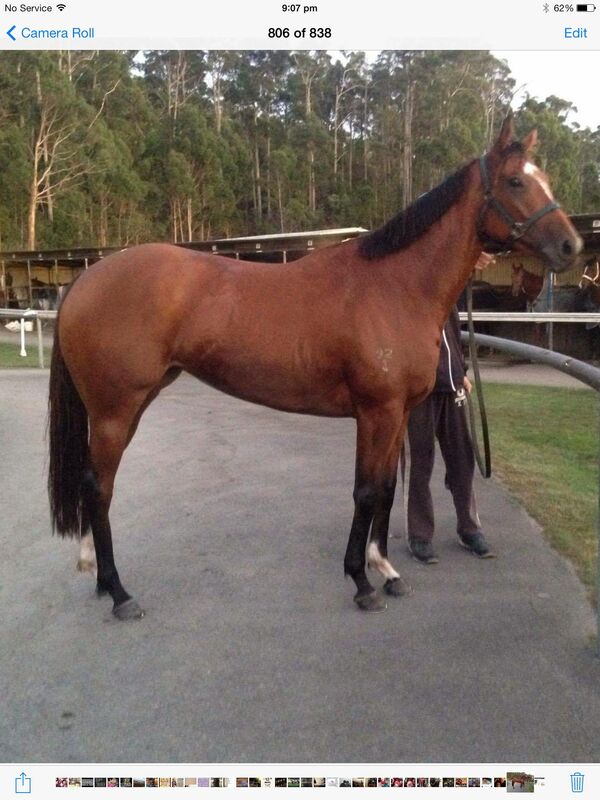 2016-08-11 1st Gosford RC Meyer Timber NSW H.
Look at Me Now (2012.f. by Lookin at Lucky-Riptide, by Exceed and Excel-River Express). 2016-08-17 1st Geelong RC Elephant and Castle Hotel H.
Polarised (2011.g. by Al Maher-Icy Maiden, by Xaar-Marsiliana). 2016-08-04 1st Warrnambool RC Baillie's Logistics Maiden P.
Valtimor (2012.g. by Ad Valorem-Marsiliana, by Marscay-Polar Rose). 2016-08-05 2nd Pakenham RC Racing.com H.
Name the Day (2009.g. by Host-Thorpedo, by Thunder Gulch-Espresso). 2016-07-23 1st VRC (Flemington) KA Morrison H.
Najmaat (2013.f. 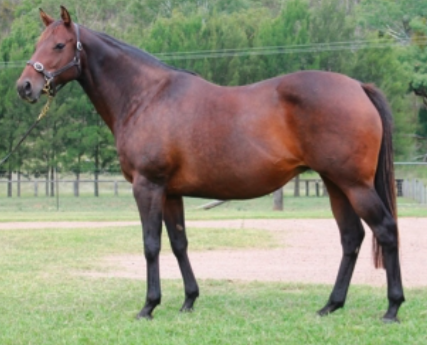 by Hinchinbrook-Advantage Receiver, by Giant's Causeway-Miss Kournikova). Kuznetsova (2012.f. by Not a Single Doubt-Myskina, by Xaar-On Centre Court). 2016-08-03 1st BRC (Doomben) Sky Thoroughbred Central Maiden H.
Torchbearer (2012.g. by Shellscrape-Dan Baroness, by Statue of Liberty-Weekend Surprise). 2016-08-05 1st Wyong RC Confidence Insured H.
Storm Wacker (2012.g. by Bushwacker-Hidden Creek, by Storm Creek-Laughing Erin). Bracteate (2011.g. by Medaglia d'Oro-Belcentra, by Bel Esprit-Centra Rainbeam). 2016-08-17 1st BRC (Doomben) Sky Thoroughbred Central H.
Londehero (2010.g. by Lonhro-Fleur de Chine, by Centaine-Sellou). 2016-07-23 1st Qld Tatt's RC (Doomben) Tattersall's H.
Magic I Am (2012.f. by Magic Albert-Cangino, by Perugino-Cannarelle). 2016-08-03 1st BRC (Doomben) Gallopers Sports Club H.
AFFLECK (2011.g. by Battle Paint-Greenstone, by Green Perfume-Trio). 2016-08-14 1st Singapore TC Kranji A S.
Snowbrook (2013.f. by Hinchinbrook-Snow Queen, by Snowland-Grand Performance). 2016-08-14 1st Murrumbidgee TC Bedrock Maiden H.
Prince of Kentucky (2014.c. by Haynesfield-After Taxes, by Nureyev-Piquetnol). NO MORE TEARS (2012.f. by Darci Brahma-Ocean of Tears, by Minardi-Procure). SLOTS (2009.f. by Casino Prince-Serein, by Snippets-Serene City). 2016-07-23 1st ATC (Canterbury) TAB More Than Winning H.
TAYLORS DEAL (2009.g. by Second in Command-Fleet Amyanne, by Western Fame-Fleet Chelseanna). Today is the Day (2011.f. by Raise the Bluff-Regal Dream, by Regal Intention-Fleet Chelseanna). Gallivanter Cat (2011.f. by Northern Meteor-Stella Doro, by Faltaat-Lady Joelyn). 2016-07-23 2nd Toowoomba TC Tyrrells Wines P.
Balzac (2008.g. by Flying Spur-Rationalize, by Marju-Rationaine). 2016-07-24 2nd Port Augusta RC PKB Electrical Services H.
2016-08-14 3rd Port Augusta RC Kevin Freeman Electrical H.
Zamboanga (2012.g. by Hard Spun-Secret Trick, by Fasliyev-Shackle). 2016-07-24 2nd Moe RC Saviges Rd Fast and Ezy Maiden P.
Choice Princess (2010.f. by Easy Choice-Princess Storm, by Hurricane Sky-Royal Darlya). 2016-08-06 3rd GCTC (GCTC) Coca Cola H.
Great Party (2012.c. by Henrythenavigator-Great Manners, by Rubiton-Val Chimene). 2016-08-13 1st Macau Change the Grange H.
HARLEM SHAKE (2012.f. by Warm White Night-Malakeh, by Snippets-Our Dizzy Raine). SCRATCHY LASS (2011.f. by U.S. Ranger-Seven Year Itch, by Keltrice-Love to Honor). 2016-07-23 1st SAJC (Morphettville) Ubet H.
SARACINO (2013.c. by Per Incanto-Bella Daniela, by O'Reilly-Coupon). Alvan Street (2012.g. by Saxon-Argentine Rose, by Red Ransom-Censino). 2016-07-30 2nd Broome TC North Star Cruises Maiden P.
2016-08-09 3rd Broome TC Kas Helicopters Maiden P.
Sienna Symphony (2012.f. by Testa Rossa-Sweepstaking, by Not a Single Doubt-Tennessee Sunrise). 2016-08-04 3rd Warrnambool RC Western District Agri Centre H.
STORM APPROACH (2010.g. by Purrealist-Smytzer's Thunder, by Thunder Gulch-Danish Pastry). 2016-07-24 1st Bendigo JC Santon's H.
2016-08-07 1st Echuca RC Border Inn H.
Zapurbly (2012.f. by More Than Ready-Zapurb, by Zabeel-Purple Groove). 2016-07-31 2nd Pakenham RC Ker Equi-Jewel H.
Italian Affair (2012.g. by Bernardini-Honest Politician, by Distorted Humor-Yarra Dreaming). 2016-07-23 2nd Toowoomba TC Hannas H.
Northern Jewel (2010.g. by Northern Meteor-Vain Deb, by Vain-Palm Beach Deb). 2016-07-22 1st Broome TC Pritchard Francis H.
2016-08-09 1st Broome Toyota H.
Whistle Stop (2010.g. by Street Sense-Whistles, by Royal Academy-Whistling). 2016-07-23 2nd Darwin TC Sky Racing Metric Mile H.
Ladies First (2012.f. by Dylan Thomas-Just Polite, by Dehere-Polly's Pocket). 2016-07-23 1st Taranaki RC New Zealand Bloodstock Finance H.
REDZEL (2012.g. by Snitzel-Millrich, by Rubiton-Mill Rani). 2016-07-23 1st ATC (Canterbury) July Sprint H.
Tremor (2012.f. by Commands-Cataclysm, by Marauding-Chaparra). 2016-07-30 2nd ATC (Rosehill) TAB Rewards H.
Saker (2010.g. by Commands-Dawn Attack, by Fantastic Light-Sabaah). 2016-07-30 2nd WATC (Belmont) James Boag's Sprint H.
DEAUVILLE (2013.c. by Galileo-Walklikeanegyptian, by Danehill-Ahdaab). PRENTICE (2011.g. by Blackfriars-Stella Vision, by Scenic-Stellare). 2016-08-17 1st WATC (Belmont) Gold Membership H.
Palace Tycoon (2012.g. by Testa Rossa-Palace Glow, by Palace Music-Starlit Queen). 2016-07-30 3rd MRC (Caulfield) Helen Egan H.
Akasaki (2013.g. by Nicconi-Very Bright, by General Nediym-Radiant Star). 2016-08-12 1st Tamworth JC Thread Effects H.
Royal Set (2013.c. by Royal Abjar-Set the Scene, by Sadler's Wells-Margarula). Palmerston (2013.g. by Oasis Dream-Marywell, by Selkirk-Margarula). 2016-07-23 1st Newmarket Adnams East Coast Vodka H.
Taddei Tondo (2009.g. by Danerich-Pachouli, by Royal Academy-Jovan). Hot Mama (2010.f. by Duke of Marmalade-Firestorm Baby, by Keltrice-Jovan). 2016-08-11 1st Cranbourne TC Mypunter.com H.
Danouli (2010.g. by Danerich-Pachouli, by Royal Academy-Jovan). 2016-07-30 1st SAJC (Morphetteville) Adelaide Galvanising H.
Polar Blitz (2009.g. by One Cool Cat-Nella Dane, by Danehill-Tennessee Morn). 2016-08-06 1st Tambo DRC Great Western Sprint Open H.
Pomelo (2012.f. by Lope de Vega-Tennessee Mischief, by Desert Prince-Tennessee Morn). 2016-07-30 1st Illawarra TC Cawleys Creek Maiden H.
SOOBOOG (2012.c. by Snitzel-Monte Rosa, by Fraar-La Nebbia). Fan the Breeze (2010.g. by Elvstroem-Chesterfield, by Quick Score-Sculptor's Daughter). 2016-07-28 3rd Balaklava RC Evans Faehrmann Pty Ltd H.
Reigning Meteor (2011.g. by Northern Meteor-Sheeznodoubt, by Not a Single Doubt-Regal County). 2016-07-24 1st Bendigo JC Mazda H.
2016-08-04 2nd Warrnambool RC Melbourne Marriott Hotel H.
No Love (2012.g. by Thorn Park-National Dream, by Rory's Jester-Dream About It). 2016-07-22 1st Geelong RC Milana's Lingerie Maiden P.
How Huge (2010.g. by Henny Hughes-Basamaat, by Danehill-Shining Hour). 2016-07-22 3rd Singapore TC Class 5 H.
Mikesh (2009.c. by Majestic Missile-Avena Sativa, by Polish Precedent-One Wild Oat). Hard to Kiss (2012.g. by Hard Spun-Volkiss, by Volksraad-Kiss). 2016-08-03 1st Sale TC Ladies Raceday Maiden P.
TUPI (2012.c. by Tamayuz-Carioca, by Rakti-Cidaris). MILL SPRINGS (2012.f. by Shirocco-Mezzogiorno, by Unfuwain-Aigue). My Names Bruce (2011.g. by Sharkbite-Los Feliz, by Shamardal-Jactris). 2016-08-04 1st Pinjarra RC Keith Jeffreys H.
CAPRI (2014.c. by Galileo-Dialafara, by Anabaa-Diamilina). 2016-07-30 1st Galway Ladbrokes 2YO Maiden S.
Oh Baby (2012.f. by Authorized-Our Sharapova, by Fasliyev-Supernal). 2016-07-12 1st Murtoa RC Tradelink Maiden P.
2016-08-13 1st Coleraine RC La Parisienne Marquee H.
THE LAST LION (2014.c. by Choisir-Mala Mala, by Brief Truce-Breyani). Handsome Tycoon (2010.g. by Not a Single Doubt-Charlotte de Belle, by Secret Savings-Gulistan). 2016-07-30 1st Darwin TC Palmerston Sprint H.
Two Shoes (2013.f. by Jet Spur-Locquacious, by Royal Academy-Dateless). 2016-02-13 1st BRC (Doomben) Suez 2YO H.
2016-05-11 2nd BRC (Sunshine Coast) Bundaberg Rum 2YO H.
Alakai (2012.f. by Kaphero-Hula Guest, by Prego-Hula Mime). 2016-07-25 1st Gunnedah JC Bad Boy Mowers at Wideland Ag H.
Nirwana Beach (2012.f. by Stravinsky-Twin Town, by Halling-Contiguous). 2016-08-06 1st Bairnsdale RC Team Staffing H.
Wildebeast (2010.g. by Stravinsky-Twin Town, by Halling-Contiguous). 2016-08-04 3rd Rockhampton JC USG Boral P.
Midweek (2013.f. by Motivator-Contiguous, by Danzig-Modena). BUTTON DOWN (2011.f. by Oasis Dream-Modesta, by Sadler's Wells-Modena). FLOR DE LUNA (2013.f. by Badge of Silver-Lady Zenne, by Orientate-Lady Cozzene). Our Swagman (2009.g. by Keep the Faith-Sherlowe, by Sesaro-Lady Kashan). 2016-08-06 2nd Katherine TC Ubet H.
Caniwin (2008.f. by Keep the Faith-Sherlowe, by Sesaro-Lady Kashan). 2016-08-08 1st Swan Hill JC Murray Downs H.
Invitations (2011.g. by Street Cry-Come Hither, by Redoute's Choice-Hanky Panky). 2016-08-06 1st ATC (Randwick) Jockey Celebration Day H.
Libertine Miss (2012.f. by Statue of Liberty-Love Buggy, by Favorite Trick-Happy Heart). 2016-07-22 3rd Geelong RC BandB Aluminium Maiden P.
2016-07-29 3rd Geelong RC William Hill Maiden P.
YALPAGAN (2012.c. by Unaccounted For-Gimme Hope Joanna, by Sri Pekan-Flicker of Hope). Bay Reflection (2012.f. by Encosta de Lago-Blue Image, by Bluebird-Rosa's Image). 2016-08-12 3rd Geelong RC Shojun Concrete Maiden P.
Stole the Show (2013.f. by Show a Heart-Pedantic, by Peintre Celebre-Charming Charge). 2016-07-10 1st SCTC (Sunshine Coast) Garrards Horse and Hound Maiden 2YO P.
2016-06-22 2nd BRC (Doomben) Brandons Electrical Maiden 2YO P.
Royal Roulette (2011.g. by Casino Prince-Fastfilly, by Royal Academy-Belle Jest). 2016-07-27 1st BRC (Eagle Farm) Aristocrat Players Choice H.
Son of a Warrior (2010.g. by Danewin-Lonnies Girl, by Lonhro-Tycoon Tess). 2016-07-23 1st Thangool RC Catholic Education H.
CHURCHILL (2014.c. by Galileo-Meow, by Storm Cat-Airwave). Ferrigno (2011.g. by Nicconi-Take Heart, by Fusaichi Pegasus-Steal My Love). 2016-07-23 1st St George JC Cubbie Ag H.
Jeptoo (2010.f. by Charge Forward-Take Heart, by Fusaichi Pegasus-Steal My Love). 2016-07-23 3rd Toowoomba TC Art and Soul H.
FIRST AMONG EQUALS (2011.g. by Exceed and Excel-Pride of the Class, by Volksraad-Grosvenor's Pride). Defiancy (2011.g. by Wanted-Metellus, by Naturalism-Bolt of Lightning). 2016-07-21 1st Pinjarra RC Sky Thoroughbred Central H.
Mount Nebo (2009.g. by Dubawi-Spy Hill, by Danehill-Arrester Miss). ROCK MAGIC (2009.g. 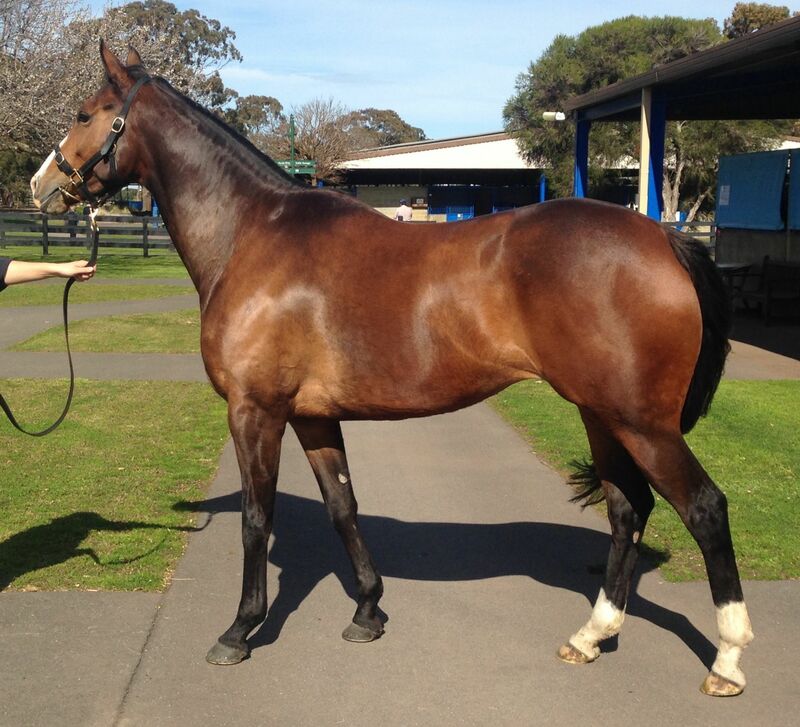 by Redoute's Choice-Rockabubble, by Bubble Gum Fellow-Blond Rocket). SAVOUREUX (2011.f. by Nadeem-Ripe Plum, by Spectrum-The Collaborator). 2016-08-13 3rd ATC (Rosehill) ClubsNSW H.
HEUSTON (2009.g. by Acclamation-On the Razz, by With Approval-Looking Brill). Derryn (2013.c. by Hinchinbrook-Munhro, by Lonhro-Regrowth). 2016-07-30 1st MRC (Caulfield) Brian Reckas 2YO H.
Manwell (2010.g. by Manner Hill-Carolyn, by Luskin Star-For Josephine). 2016-08-16 3rd Pakenham RC APM Group H.